Welcome to the May 22, 2017 edition of ACM TechNews, providing timely information for IT professionals three times a week. 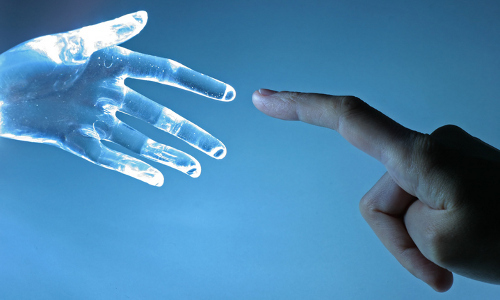 China leads the world in artificial intelligence research, according to Elsevier's Scopus database, having produced nearly twice as many papers between 2011 and 2015 than the U.S., which came in second during that time period. However, the data suggests the quality of China's papers was less than the quantity, as evidenced by China scoring only 34th in terms of field-weighted citation impact. Switzerland was the world leader on this measure, which along with second- and third-place-holders Singapore and Hong Kong accounted for fewer than 2,500 publications. Meanwhile, the list ranked by citation impact was led by the Massachusetts Institute of Technology, which far outdistanced Carnegie Mellon University and Singapore's Nanyang Technological University. University of Waterloo professor Alexander Wong notes industry recently has been driving AI innovation, and is "working closer to researchers and universities to support them in pushing advances in AI at an incredible pace." 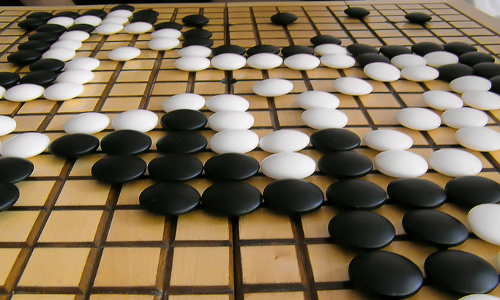 AlphaGo, Google DeepMind's artificial intelligence (AI) program, will compete against the Chinese world champion Go player Ke Jie in a three-game series. Ke was among many top Chinese players who were defeated in online contests in January by a mysterious opponent that later turned out to be an updated version of AlphaGo. However, former Chinese champion Gu Li says Ke thinks he can win the head-to-head contest because he has been working extremely hard to change his methods in preparation. AlphaGo uses two sets of deep-neural networks containing millions of connections similar to neurons in the human brain. The system is partially self-taught, having played millions of Go games against itself after initial programming. "AlphaGo's successes hint at the possibility for general AI to be applied to a wide range of tasks and areas, to perhaps find solutions to problems that we as human experts may not have considered," says Google DeepMind's Demis Hassabis. The Partnership for Advanced Computing in Europe (PRACE), the Research Organization for Information Science and Technology (RIST) in Japan, and the Extreme Science and Engineering Discovery Environment (XSEDE) in the U.S. have announced a memorandum of understanding (MOU) to promote and pool their resources. "The aim is to stimulate collaboration in the area of research and computational science by sharing information on the usage of supercomputers," says PRACE's Anwar Osseyran. "The collaboration will be of mutual benefit, reciprocity, and equality and we will identify the capabilities of cooperation in the areas of science, technology, and industry." In addition to supercomputer sharing, RIST's Masahiro Seki says "the trilateral union will be of great help to promote advanced supercomputing in the field of sensor technology and in industry." XSEDE's John Towns emphasizes the MOU advances the associated services and support staff of high-performance computing resources. Microsoft Research has formalized plans to have a DNA-based data storage system functioning within a data center by 2020, while also planning to eventually replace tape drives with DNA data storage, says Microsoft's Doug Carmean. Last July, Microsoft announced its record-setting storage of 200 MB of data in DNA strands. Challenges to achieving DNA data storage include cost, which Microsoft says must fall 10,000 times to ensure wide adoption. Also essential is automating the process of writing data into DNA, whose rate must accelerate to 100 Mbps from 400 bytes a second. The Semiconductor Research Corp.'s Victor Zhirnov says such innovations aim to circumvent the physical limits of making computer memory ever denser. 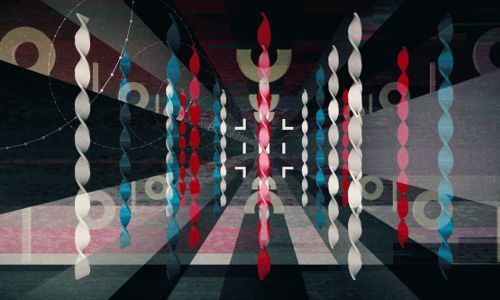 "The problem we are solving is the exponential growth of stored information," Zhirnov notes, pointing to a cubic millimeter of DNA's quintillion-byte storage capacity. Startups are pursuing related DNA production advances that could benefit Microsoft, such as an enzyme-based generation method. 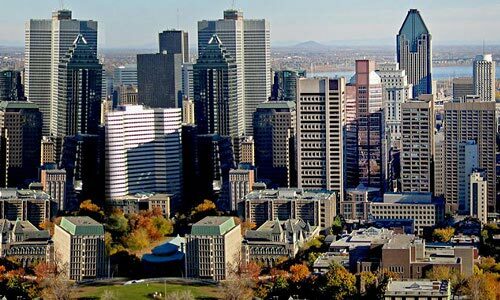 Key players in Montreal, Canada's artificial intelligence (AI) community plan to turn the city into a world-class AI center. Element AI CEO Jean-Francois Gagne says the goal is to support a "fluid, dynamic ecosystem" in Montreal that constructively meshes together AI research, startup, investment, and commercialization operations. Government funding has been essential to supporting AI hubs, with the provincial government having founded a blue-chip panel to devise a strategic plan to transform Quebec into one such hub. Private sector funding also contributes, with donors including Google and Microsoft, which are vying for leading industry positions in AI areas such as machine learning and deep learning. Montreal's advantages for investors include a well-entrenched AI training and research culture and a relatively low cost of living, says McGill University professor Doina Precup. AI technology under development by Montreal startups includes speech-synthesis software that duplicates anyone's voice. Researchers at Brown University have developed software designed to eliminate multiple hypothesis testing errors in interactive data exploration and visualization systems using real-time statistical safeguards. Their QUDE system, unveiled last week at the ACM SIGMOD/PODS Conference in Chicago, is designed so researchers can monitor the risk of false discovery as hypothesis tests are ongoing. "The idea is that you have a budget of how much false discovery risk you can take, and we update that budget in real time as a user interacts with the data," says Brown professor Eli Upfal. "We also take into account the ways in which a user might explore the data. By understanding the sequence of their questions, we can adapt our algorithm and change the way we allocate the budget." Brown professor Tim Kraska says the QUDE software presents statistical significance in the form of color-coded feedback, with green signaling a significant finding and red representing higher statistical uncertainty. 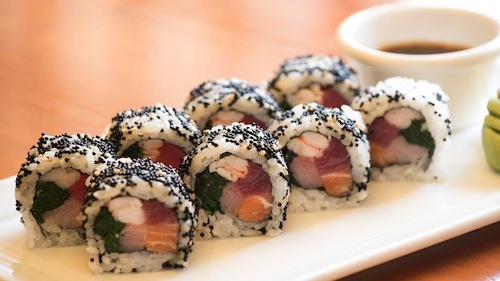 A team of French, American, and Japanese researchers says it has developed a new machine-learning algorithm that can take a given recipe and transform it into an alternative dietary style. The researchers say the system initially analyzes a large number of recipes and uses them to train a neural network as to what recipe features represent the culinary style of a given country or region. The model can then be used to take new lists of ingredients and make predictions as to the countries' cuisines to which that list corresponds. The next step involves taking the recipe's style mixture and visualizing it as a Newton diagram, which displays mixtures within data as two-dimensional coordinates. The third system element clusters ingredients together using a word2vec model, which is a way of quantifying associations between words and results in an interpretation of how similar ingredients are to one another and which ingredients can be substituted for other ingredients. Google's Code in the Community Program runs for 20 weeks as a multi-level computer science initiative for children ages eight to 15. The program is funded by Google and the Chinese Development Assistance Council, the Eurasian Association, the Singapore Indian Development Association (SINDA), and Yayasan Mendaki. These organizations aim to help 3,000 underprivileged children develop computational skills for possible technology careers. "It's our way of...playing our part in the community as well as in partnership with everything the government is doing or other institutions might be working on as well," says Google Asia Pacific's D.N. Prasad. 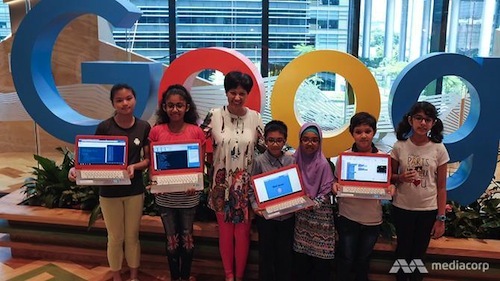 SINDA president Indranee Rajah says coding is a skill students should acquire naturally through fun and play. "If you expose somebody at a young age, you allow them the freedom to absorb this and to play with it and to let them create with it, it just becomes something that is an inherent skill," Rajah says. Researchers at the VTT Technical Research Center of Finland have developed faster, more accurate, and agile computation tools and methods. The team says the research is intended to eliminate the expensive and time-consuming prototype phase in the electromechanical industry. For example, the researchers say they have produced innovative and accurate methods to control vibrations, dampen noise, and improve the energy efficiency of devices. In addition, they have used the Elmer tool, an open source finite-element method software, which features numerically efficient parallel computing and advanced coupling of multiple phenomena. "Only genuine cooperation enabled the development of software for a new application area so quickly," says VTT researcher Peter Raback. "The importance of parallel computing will continue to grow as number of computational cores in [central-processing units] increases." The researchers say the project's outcomes could particularly benefit the electromechanical industry. 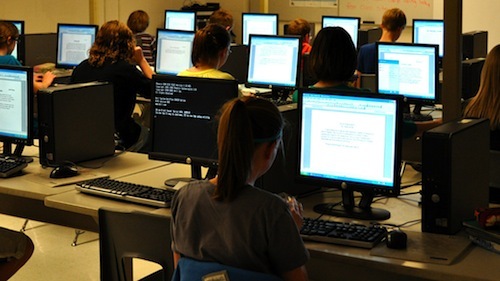 University of Delaware (UD) researchers recently received a two-year, $300,000-grant from the U.S. National Science Foundation (NSF) to bring computer science to middle school students from underrepresented communities. The WeC4Communities grant is one of 38 development launch pilots under the NSF INCLUDES program. The researchers also have been working on programs to provide training for educators who teach computer science to K-12 students. In addition, they recently received a three-year, nearly-$1-million grant that will go toward the Partner 4CS program, which provides K-12 teachers from Delaware with the opportunity to come together for a week-long professional development program over the summer. "Professional development for these teachers provides them with the technical skills, knowledge, pedagogy, and confidence to teach a subject mostly new to them," says UD professor Lori Pollock. Researchers at Lancaster University in the U.K. and the MARA University of Technology in Malaysia have demonstrated opportunities for bitcoin's transparency mechanisms to be exploited to facilitate dishonest trading. The team cited problematic design features in the cryptocurrency, including the risk of losing passwords, the theft of bitcoins due to insecure passwords, and the anonymity of bitcoin users. "Despite deregulation being a crucial characteristic of blockchain, its users actually desire regulation, mostly because of the challenge of dealing with dishonest traders which, they believe, could be addressed by de-anonymizing trading parties," says Lancaster's Corina Sas. The researchers suggest incorporating trust-supporting design improvements such as new digital tools to record information on conventional currencies exchanged for bitcoins on the blockchain, and tools identifying the owners of single-use-only bitcoin wallets. The research was presented this month at the ACM Conference on Human Factors in Computing Systems (CHI 2017) in Denver, CO. Researchers at the University of Illinois at Chicago (UIC) led the development of BiAffect, an application for unobtrusively tracking mobile device usage to anticipate manic and depressive episodes in people with bipolar disorder. BiAffect won the Mood Challenge for ResearchKit competition, which tasked participants to find new ways to study mood disorders using Apple's open source ResearchKit iOS platform. BiAffect analyzes keyboard dynamics such as typing speed to predict bipolar manic and depressive episodes, and the $200,000 prize the UIC researchers won will be used to refine and launch the app in the App Store. "People in the midst of a manic episode commonly have reduced impulse control, so it is not surprising that our pilot data supported that they tend to blow through the spell-check alerts," says UIC professor Alex Leow. She notes BiAffect is designed "to serve as a kind of 'fitness tracker' for the brain," and help researchers assess the effectiveness of mood-disorder treatments.